Tharpa Publications is an example of a modern Dharma publishing house. It is a publisher of books on Buddhism and meditation by the contemporary meditation master, Geshe Kelsang Gyatso. Its titles are widely acclaimed for their clarity and universal applicability. Tharpa offers something for everyone, and together its titles represent perhaps the most complete presentation of the Buddhist path available in any Western language. These books have also been translated into many different European languages and are now being translated into Chinese and other non-western languages as well. Tharpa also produces audio versions of many of these books, including MP3s, Buddhist prayers on CD, and a beautiful range of traditional Buddhist art. 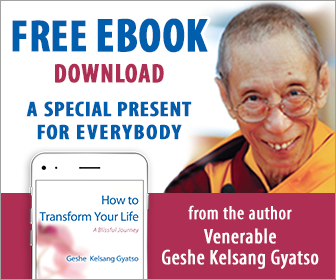 To find out more about Tharpa Publications’ books, visit the books section of this website.